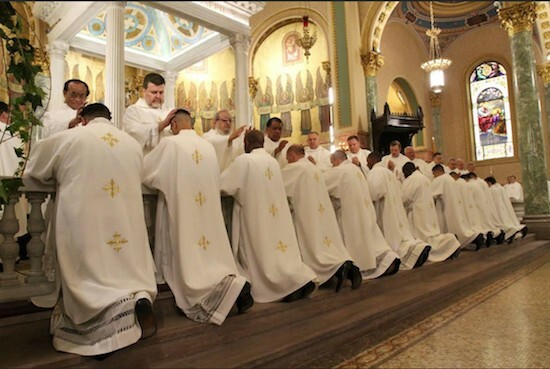 When you think of the word ‘Priest’, many connotations come to mind. Some are positive, whilst others not so much. Now imagine a priest surrounded by hormonal, brutally honest teenagers who is more open to change than the Pope. These are the words of Father John Campion, a priest working in the chaplaincy in the University of Limerick since 2003. Fr. John says he has noticed a massive decline in young people practising their faith since he first came to Limerick. “When I first got here students openly practised their faith. Now, on Sunday mass, you’ll see less than a hundred students but that’s not to say young people aren’t spiritual,” he commented. Ireland as a country has gone through vast religious change in recent years. With the Irish government lifting the ban on the purchase/selling of alcohol on Good Friday, coupled with the news that a referendum on abortion will be held this year, the Ireland of old now seems like a distant memory. Gone are the days of Ireland being a small, Catholic-centric country with industrial schools and Mother & Baby homes. Churches across the country, once full to the rafters with eager worshipers, are now nowhere near the capacity that they once used to be. After decades of abuse scandals and corruption, the Catholic Church in Ireland is going through an identity crisis – not knowing how to connect to the ordinary person. A ‘Generation What?’ survey conducted last year showed that 83% of people between the ages of 18-25 felt that they could be happy without any religious belief. People declaring themselves religious nowadays has also been a topic for debate, with some saying they are too afraid to openly announce their faith to friends. This is something that Fr. John couldn’t have imagined when he was the age of the average college student. For him, growing up surrounded by religion meant more than just going to mass every Sunday, it was about making connections with others. “Growing up I was encouraged to go [to mass] and coming from a rural area, there was a sense of community by going. Nowadays, parents are indifferent. It’s easier to say you’re not religious than to say you are religious.” Recently, the data for the 2016 Irish census recorded the first fall in the numbers of Catholics in Ireland in 45 years. However, some people are not afraid to proclaim their religious faith. One of these people is UL student Naomi Carson, who describes herself as a Christian and a proud member of UL’s Christian Union society. Like Fr. John, Naomi understands the issue of mistrust towards the Catholic Church from younger people. This is in line with the same ‘Generation What?’ survey which found that over half of students do not trust religious organizations. People still have misconceptions about someone who is religious, often labelling them as anti-science and not being in line with modern values. However, some high-profile celebrities like Denzel Washington, Chris Pratt, Mindy Kaling and Stephen Colbert openly discuss and are proud of their faith. It seems the overall sentiment from most people is that that there is no stopping Ireland from becoming more diverse in all meanings of the word, which is something that many people feel Irish society should embrace. Fr. John shares this idealistic mindset by saying that if more countries in the world respected differences and diversity, then there wouldn’t be as many wars going on. This includes woman being given a bigger role in religious institutions and allowing priests to marry. The whole argument about religions relevance in Ireland is summed up best with Fr. John emphasizing that the Catholic Church must embrace change. “If the Church in Ireland remains as rigid as it is now than many predict that it will die off sooner rather than later,” he said. Overall, it remains to be seen if religion will remerge as something important and worthwhile in people’s lives. What is important however is that there are people like Fr. John and Naomi, who are open to change and willing to adjust their faith to the new world.